It’s safe to say that fans of the 1978 original version of the film “Halloween,” with a 95% rating on Rotten Tomatoes, had very high expectations for the 2018 recreation of the film. As far as having pretty big shoes to fill with the re-creation, the rating of the 2018 movie is considerably high. The new “Halloween” was released on October 19, 2018 and received a 79% on Rotten Tomatoes. 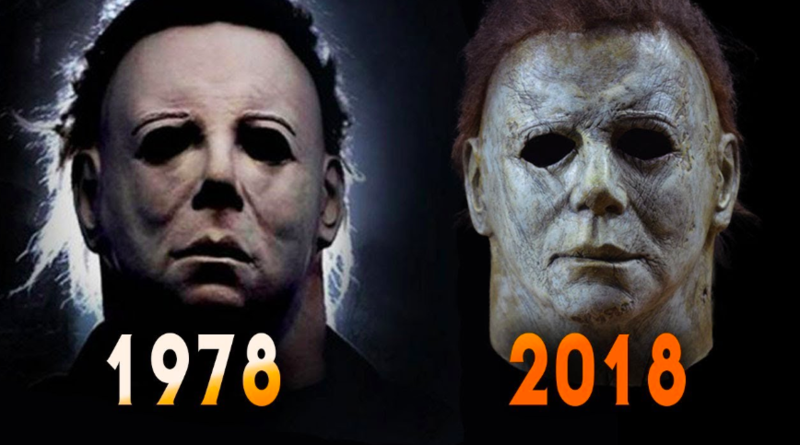 The setting of the 2018 film is crucial to the understanding of the plot: It has been 40 years since Michael Myers’ Halloween killing-spree. In the meantime, Laurie Strode, who Michael hunted back in 1978, has been waiting for his escape from jail, so she can finally get her revenge on him for the trauma he caused her. It just so happens Laurie’s predictions come true when Michael finally escapes to begin his mass murder, yet again, on Halloween night. One of these differences is that the 2018 movie does not address that Laurie and Michael were siblings in 1978. The writers and directors decided to completely scrap the two characters familial relations out of the movie and, instead, introduce Laurie’s extended family. Danny Mcbride, a co-writer, felt that having the two be strangers “would be interesting just to see how it would be if it was a random killing that was affecting Laurie all these years,” giving the reworked story a different angle than the original. The second difference is Laurie’s personality in the 2018 film. It seems that she has fulfilled Dr. Loomis’s role from the 1978 movie as the character who waits for Michael’s return in order to save the public from danger. The film portrays Laurie with strong, leadership traits when she keeps her family out of harm during Michael’s escape, but also captures her having mental breakdowns and symptoms of PTSD (Post Traumatic Stress Disorder). Jamie Lee Curtis, who portrays Laurie, says that “there is nothing more terrifying in the world than a random act of violence,” which is what Laurie has went through according to the 2018 movie plot. The way the directors and writers have made Michael and Laurie strangers and changed her personality clearly portrays how life threatening events, like the one she went through, can cause extreme trauma that affects your future. In my eyes, these changes make Laurie and the story more relatable and appealing to modern day society by connecting real world events, like terrorism, and its effects in another way that could not have been done if the writers kept the same plot direction. In the original, Myers escapes the Smith’s Grove Sanitarium and lets multiple patients out in the process. As Dr. Samuel Loomis and Marion are driving into the Sanitarium, they encounter the patients roaming aimlessly on the hospital property at night. 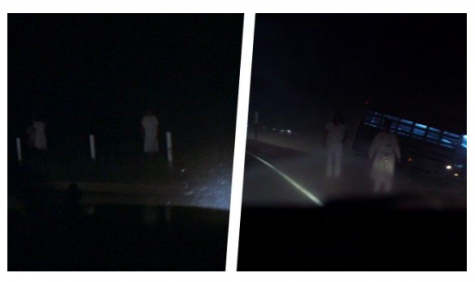 This scene is flawlessly paralleled in the newer movie when Michael escapes the crashed bus carrying him and the other patients and a car approaches revealing the escaped patients wandering along the highway. A second example is the intense “closet scene” from the 1978 movie that was tributed in a more indirect way. In the original, Laurie hides in a closet, but eventually is discovered by Michael. However, Laurie escapes Michael’s grasp by using a clothes hanger. The 2018 movie twists the scene as an older Laurie looks for Michael in her home. As she checks the closet, we see a shot of Laurie’s face which is meant to show her recollection of the scene forty years ago. Laurie does not find Michael in the closet, but a singular clothing hanger remains inside. Another scene in the 2018 movie pays homage to Laurie in the 1978 film. In the older film, Laurie helps two children escape the hands of Michael and she demands they run home and call the police. When the two children begin to object, Laurie says, “do as I say” which gets them to follow her orders. In the newer film, adult Laurie leaves a voicemail for her granddaughter Allyson Strode and repeats the notorious quote, “do as I say” while giving Allyson orders. 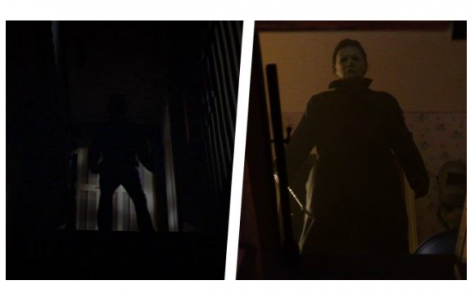 Many 2018 “Halloween” fans are already conspiracizing due to the film’s ending due to the hints at the end of Michael’s death scene and a post end credits scene. Like the 1978 movie, the 2018 version leaves the remainder of the story up for interpretation which get fans excited for the inevitable continuation of the story.